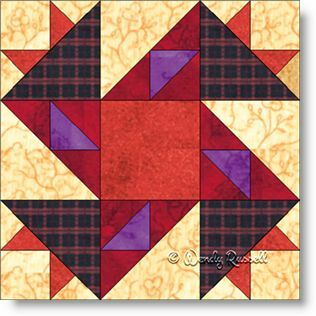 The Scrapbook Star quilt block is a wonderful learning experience if you are new to quiltmaking. This nine patch block uses squares, half square triangles and also quarter square triangles all working together to make an interesting block. As you can see from the sample quilts illustrated, different parts of the block come to the forefront, depending on which type of layout you choose.